Representatives and benefactors had the opportunity to enjoy the film "Jamaica" that was a huge success at the 2018 Greek Film Festival - at Palace Como on Monday 26 November and to be briefed about the activities and the future programs of the GCM. The guests were welcomed by Mr Theodoros Markos, Vice-President of the GCM. He also spoke about the Community’s programs and future plans and the need to establish a Greek lobby. 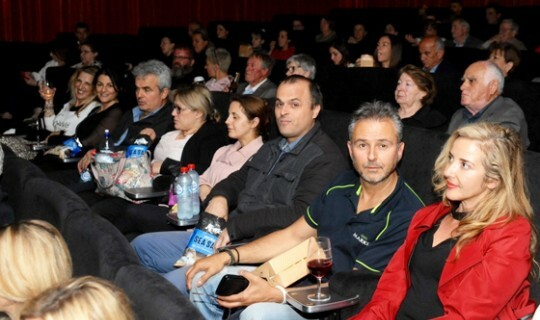 "The aim of tonight's event is to provide you the opportunity of enjoying an interesting contemporary Greek film, and to inform you about our projects and goals as as to discuss how we can work together," said Mr Markos, adding that “the problems we face as Greek community are complicated and we can face them only if we all work together." (1) Operate as a lobby group to state and federal governments for issues that concern as citizens of this country. We do the same with the Greek governments, especially for issues concerning Greeks living abroad. 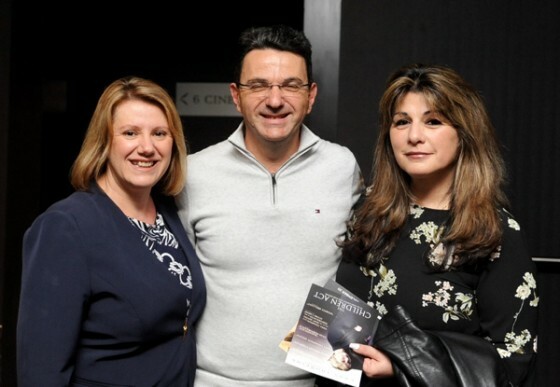 (2) Promoting Greek culture, not only within our community but also within the wider Australian society, so that aspects of Greek culture become part of the backbone of the broader multicultural character of Melbourne and Australia in general. (3) Promotion and learning of the Greek language in all levels of education. At our Language and Culture Schools we have more than 1,000 students and amongst them a large number are children of newly arrived immigrants. Five years ago, we introduced the teaching of Ancient Greek with great success and with excellent results at the VCE level. Every evening we offer Modern Greek classes for adults and most of the students are from non-Greek origin." Mr Markos also spoke about Alphington Grammar School and other GCM educational programs as well as the series of Greek History and Culture Seminars. In addition, he stressed the importance of the formation of a strong Greek community lobby group. He explained that the GCM has taken several initiatives to promote issues concerning the Greek community, both with the Australian and the Greek governments. "This morning, we congratulated Daniel Andrews government for its re-election, and we also congratulated the MPs of Greek background, but at the same time we reminded them of the needs and expectations we have as a community," he said. "Fortunately, Ministers Ms Jenny Mikakos and Mr Phillip Dalidakis and Labor MP Mr. Steve Dimopoulos, are some great supporters of the GCM and we thank them publicly," he said. He also invited other Greek organizations to strengthen their relations with the GCM and announced the operation of the «Λέσχη» (Club rooms) on the 12th floor of the Greek Centre. "We want you to consider the Greek Centre your ‘home’, a home where we can all meet and discuss matters that are of concern to us. We are pleased to announce the operation of the 12th floor of the Greek Centre as a space devoted to the Greek organizations and we ask you to become members of the «Λέσχη». Very soon, on the same floor we will establish a public library devoted to the Greek-Australian history and the Greek Diaspora," he said. Mr Markos concluded his speech by elaborating on the issue pertaining to the Bulleen property issue and invited the President of Argos Orestikou Mr Leonidas Ouzounis to talk about their cooperation and their donation of $ 1m. to the GCM. Mr. Ouzounis expressed his satisfaction for the good work relations that exist between his Club and the GCM and he invited all the organisations to follow their example.